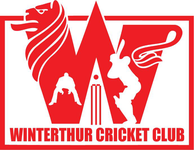 Despite a 5 wicket haul by Dipi, Winterthur lost on the road to Zurich Nomads by 126 runs on Sunday 26th June. Zurich Nomads having won the toss decided to bat first. Ashvin and Faheem the two opening batsmen came out to bat, but their decision to bat first was soon tested by WCC, getting Nomand's key man Faheem out, caught behind by Tom in only the second over of the match off the bowling of Dipi. This completely fired up the bowling and fielding of the WCC as it was a massive wicket. This brought in Shafqat to the crease, who along with Ashvin built a good partnership, Ashivin as always looked in solid and aggresive whilst Shafqat was struggling at the other end, he did also present WCC with a few chances but was not taken, this partnership went on till the 18th other of the match, during this period Shafqat had too found his feet, but it was Ashvin who was on 33 runs who got out off the bowling of Jagath caught at deep extra cover to a well judged catch by Nathan. This brought in Vicky to the crease of whom WCC have fond memories of from last year when he completely demolished our bowling attack. But this time round it was different WCC kept him quiet for most of the early part of his inngs until he started to take risks to break free. That's when WCC deciced to play a different game all together called "Mr Butter Fingers of the Day", Starting with Ruan dropping Vicky at long on, then the captain himself dropping a difficult chance, then Dipi dropped another catch at long off, Jagath dropping a sitter at covers, Sumant joining the competition to drop a straight forward he too wants to be "Mr Butter Fingers" and dropped 2 catches himself. Sara in the mean time ran in slow for high catches so doesn't drop it. Mohamed was the live wire on the field for WCC, doing what he does best fielding out of his skin, Jagath probably didn't like it so he tried to Kill him, by throwing the ball at him with full force to effect a run-out from just 5 metres away. Mohamed ended up with a bruised right thumb. Whilst all this was happening Shafqat and Vicky started to open up and take on the WCC attack starting with Ruan, who didn't make life easy his dad Juan who had to go pick up the ball from the car park every time his son got hammered over long on. Sara made it tough for Mayank who was scoring as he bowled so many No balls that Mayank had to draw an extra box in the score book, Sara was also taken apart by Vicky. Then Tom introduced Lakmal in to the attack, and before long he was taken to the cleaners too. Nathan was the only bowler who bowled with some sense when the all this was happening. The Shafqat - Vicky onslaught went on till the 29th over, finally DP held on to a catch at long off to get rid of danger man Vick off the bowling of Ruan. This brought Azeem to the crease, who got out cheaply for just 3 runs as he was caught at short extra cover by Jagath off the bowling of Nathan. Then the middle order of the Nomands tried their best to support Safqat at the other end but wickets started to tumble forcing Shafqat to take more risks to guide Nomands to a decent score on the board, during this process Shafqat was finally bowled by DiPi for a brilliant 92 runs. DP's 5 overs - 0 Maidens - 29 Runs for 5 wickets being the only highlight of WCC. WCC didn't get off the the best of starts loosing their opener Jagath very early for a duck in the 2nd over of the WCC innings, this brought Lakmal who along with Nick they tried to steady the innings but Nick too fell for just 4 runs in the 5th over when the score read 9 for2. Then Prafull walked in earlier than expected, but Prafull soon followed the openers as he chopped the ball on to the stumps for a duck in the very next over. Then Ruan and Lakmal hung around for WCC trying the best to build a partnership but before long Ruan out caught in the 9th over for 11 runs, Bringing in Captain Tom to face the music alongside Lakmal on the other end who looked solid. Tom too looked in great shape as he pulled only his second ball for a six over square leg but only to edge one to the keeper in the 11th over for 10 runs whilst the total read 49 for 5. Then Sara and Lakmal looked to consolidate and build a partnership but soon Lakmal got out bowled when he was on 24 runs in the 14th over of the game. Bringing in Nathan to bat, Sara and Nathan tried their best to stop the flurry of wickets but this put the breaks on the runs for WCC, forcing Nathan to go big but unfortunaly he was out caught for 7 runs in the 24th over. Then it was Sumanth plaing his first game in WCC colours, but he did not last long as he as out stumped for just 2 runs in the very next over. Then it was Mohamed and Sara who tried to play off the overs atleast to save WCC some embarrassment but soon Mohamed was ajudged LBW for 7 runs in the 30th over. Bringing in Dipi the last man for WCC but he did not last for long, he was out caught for 5 runs in the 32nd over, Bringing the end to the WCC innings with only Sara left as the last man standing. WCC 116 All Out in 33 overs chasing 243 as target. View the 2016 CSPL League Eastern Division table.